deal with your races best, buy the best running jackets online for maximum performance. Maximum protection from the rain not to give up your daily workouts. Repaired even from the coldest winds thanks to the particularly resistant fabric. Functional and with a particular design: after the rain turns into a comfortable multipurpose belt. Night runner? Make yourself visible in the dark with the fabrics covered with special reflective prints. 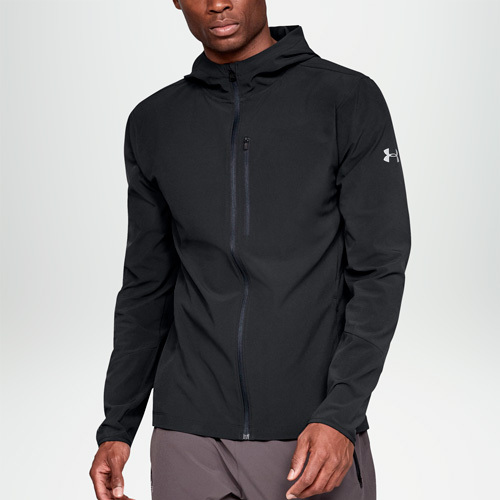 Check out all the new men's running jackets in our selection and choose the right one for you, so you can focus only on the miles you travel without worrying about the weather changes that could turn your race into a mishap. 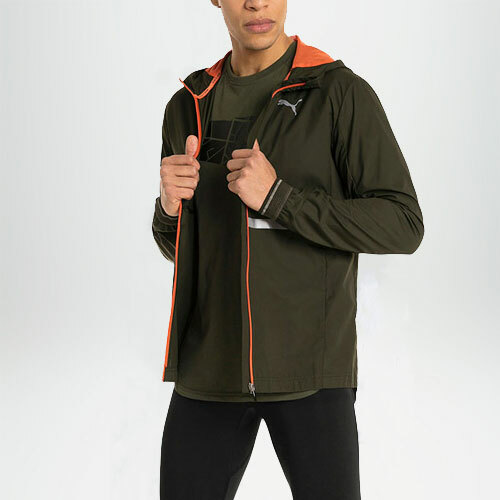 A good quality racing jacket is essential in the wardrobe of a true runner, will allow you to always be ready to face a sudden storm, a sudden drop in temperature or a forced stop. Practical and functional, to take with you and slip if necessary: make sure that your new running jacket is thin enough to not add further weight to the efforts of the race. Many of the jackets in our online store are in fact closing up, if you face routes that provide for climbs and descents buy a resealable running jacket you can take it uphill and put it back in the descent phase, during which the body tends to cool and therefore needs more protection. 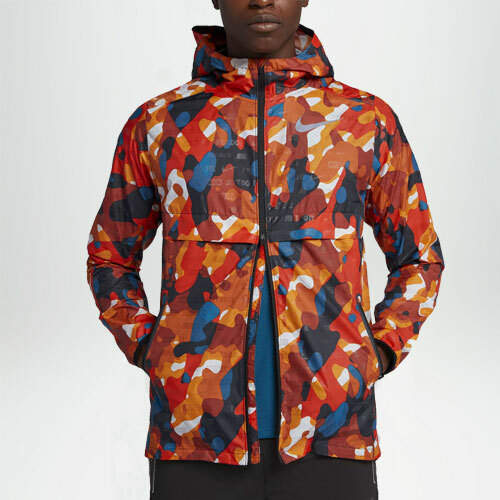 On Mister Running you will find hundreds of models of running jackets from the best known brands: from the essential models to the more technical ones, provided with high levels of waterproofing and functional elements such as hood or zip pockets to carry your personal items with you, as well as the reflective running jackets with reflective elements to be better seen in low light conditions. Rain and wind? Just choose the right running jacket! If the weather is not always favorable the jackets will make your training possible even in windy or rainy conditions. Choosing the right material for your new running jacket is essential to ensure protection and comfort. If your workouts are at risk of rain, buy a running rain jacket, the breathable inserts will allow you to maintain adequate breathability, avoiding getting wet and therefore cooling. But even the wind is an atmospheric agent almost always present in training and arrives on time just when you have reached a rather high temperature. A good windproof racing jacket protects you from the wind thanks to the use of technical materials. We at Mister Running choose the best running jackets for you to ensure protection in the most subject to cooling, especially in the frontal area of the abdomen and chest. Protecting yourself is important and will ensure you get in good health at the next race. On Mister Running you can find a wide selection of high quality running jackets at a competitive price. All models online are immediately available in stock and your order will be processed in a very short time. You will receive your new running jacket in 3-4 working days throughout Europe. But the benefits do not end there: the return is always free within 14 days of purchase. You can return your purchase comfortably and without any additional costs. We will send our courier to your home or address indicated by you and you will get a quick refund. What are you waiting for? Try us!